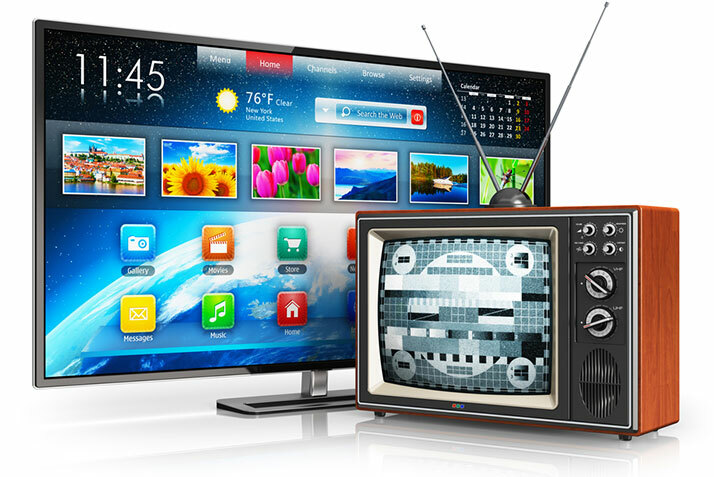 There are some tell-tale signs that it is time to upgrade your electronics, including your TV. If you plan on integrating your electronics into one convenient, efficient system, it could be the perfect time to invest in an updated television, often the hub of any entertainment system. With so many options and competitive pricing, it could be the perfect time to augment your home electronics. You can't see your screen. If you find that you can't see the image on your TV very well, regardless of how you configure your room, it could be time to upgrade. This could be a sign of your TV's deterioration, which will only get worse. Your guests can't get a good view. If the TV isn't visible and clear from different angles in your room, it could be time to update and invest in a higher-resolution model. You are missing out on visual details. Some older screens seem washed-out and less sharp over time. Invest in an HD-TV that promises clear, realistic images with amazing detail. You are sick of the wires and cords. Nobody wants a mess of tangled cords and wires coming in and out of their TV. Go with something simpler- perhaps wireless- and make the system more streamlined and accessible. Your old TV is ready to retire. Electronics are ever-evolving, so the top-of-the-line TV that you bought five or six years ago is already becoming obsolete. Stay current to have the best TV resolution with the most exciting options available! Take advantage of the newest technology and decreased price-points when buying your new TV. If any of the above criteria applies to you, it could be time for an upgrade. Shop around to find the best deals on the latest technology, and look for buyer warranties to protect your investment.